Between the mid-teens and early twenties, the third molars (better known as “wisdom teeth”) tend to erupt. For some people there is an adequate amount of room but for others the teeth may become impacted within the bone or against their neighbours. 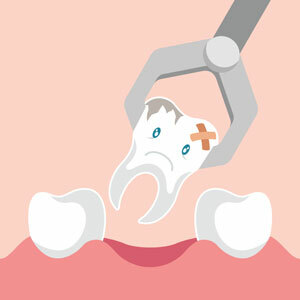 Proactively removing hard-to-clean wisdom teeth can prevent complications to the otherwise healthy teeth in your mouth. We will usually only recommend extracting third molars if it is beneficial to your overall dental health. Some people simply lack the space for their wisdom teeth to erupt all of the way. If we suspect that your child or teen falls into this category, we can arrange to remove the third molars before other side-effects start to develop. A wisdom tooth extraction usually takes less than an hour to complete. Depending on the situation, we may need to place dissolvable stitches at the surgical site. Take care to eat a soft diet for the first several days and avoid hot foods, alcohol, carbonated beverages and smoking. The staff at Lightwood Dental will provide you with written instructions on how to care for and clean the area after your procedure. Dr Iram Hasan (Dentist) performs the majority of wisdom tooth extractions in our office. We also work with an oral surgeon who is licensed to provide general anaesthesia at our practice, for patients who request this option. If you suspect that you or your teen needs to have wisdom tooth surgery, we invite you to schedule a consultation and X-ray to find out if an extraction is necessary. We’re open late — contact us today!